The Ogden Mustangs mustangs are coming to Casper and they are riding in on their 9-0-0 record this season. The Bobcats are coming off a three game sweep of the Cheyenne Stampede, but they will need to leave it all on the ice to compete with Ogden's deep bench. The Bobcats currently sit in third place in the Western State Hockey League's Mountain Division and are looking to bump the Outliers out of second. The Cats will be counting on their fans to be there to cheer them on as they take on the division leading Mustangs. 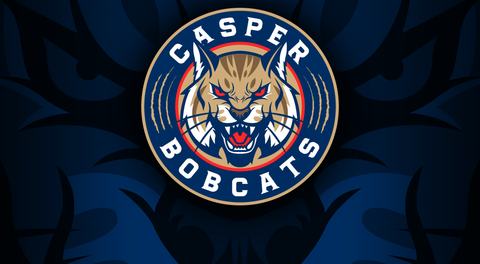 These three games against Ogden at the Casper Ice Arena will be the last home games until the beginning of December when Casper takes on the Steamboat Wranglers. Tickets are available on our website, and you can print them at home or show them on your phone at the door.